Alpha is welcoming and judgment free. It’s a place to meet new people, build friendships and ask real questions. A night at Alpha consists of food, hanging out, watching a talk and a group discussion after. 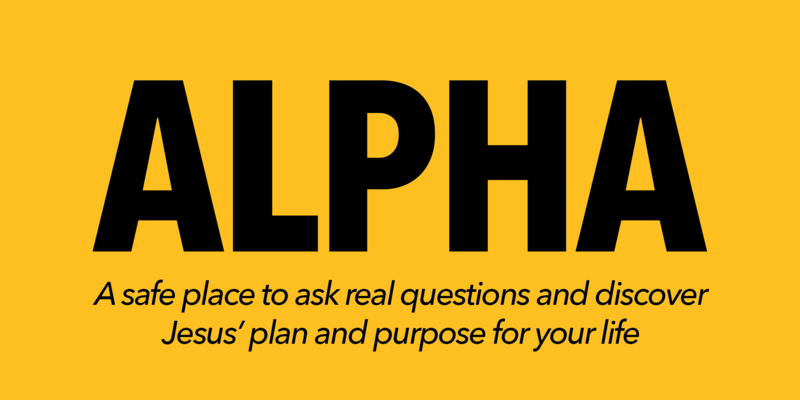 If you have questions about life, Jesus, and faith, Alpha is for you! 9.19 – Who is Jesus?10.3 – Why did Jesus die?10.17 – How can I have faith?11.7 – Why and How Do I Pray? Why and How Do I Read the Bible?11.21 – How Does God Guide Us?12.5 – Does God heal today?12.19 – What about the church?